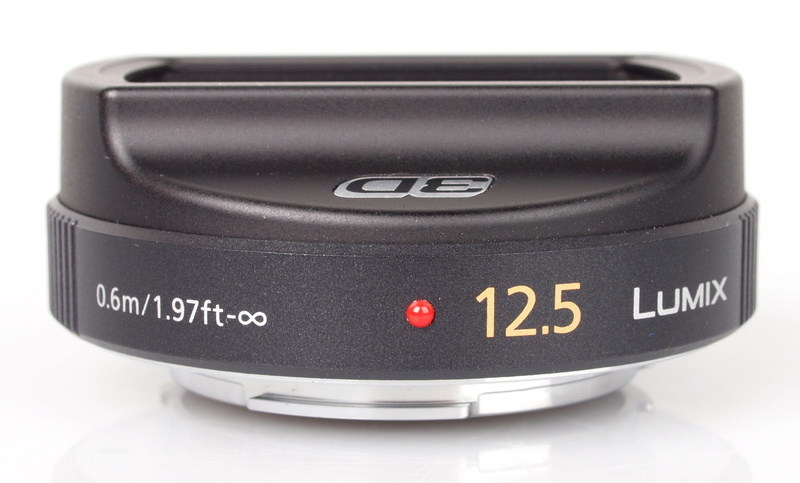 Add this lens to your Micro Four Thirds camera and you instantly have a 3D stills camera. Find out how it performs. The Panasonic Lumix G 3D 12.5mm f/12 lens is the world's only 3D lens for interchangeable lens cameras, and is available in the Micro Four Thirds mount for both Panasonic and Olympus cameras. It features 2 x 12.5mm lenses with fixed aperture of f/12, as well as fixed focus with a hyperfocal distance of 0.6 metres to infinity. The lens is made up of 4 elements in 3 groups (x2) and the 12.5mm lenses are the equivalent of 65mm, so give a relatively cropped view with an angle of view of 37 degrees. The focus distance is 0.6m to infinity although subjects closer than 1m may not give a very effective 3D effect according to the manual. The stereo base (distance between the two lenses) is 10mm which isn't very much compared to your eyes (roughly 65mm), although should be enough to provide 3D images. Unfortunately the lens / cameras do not support 3D video. 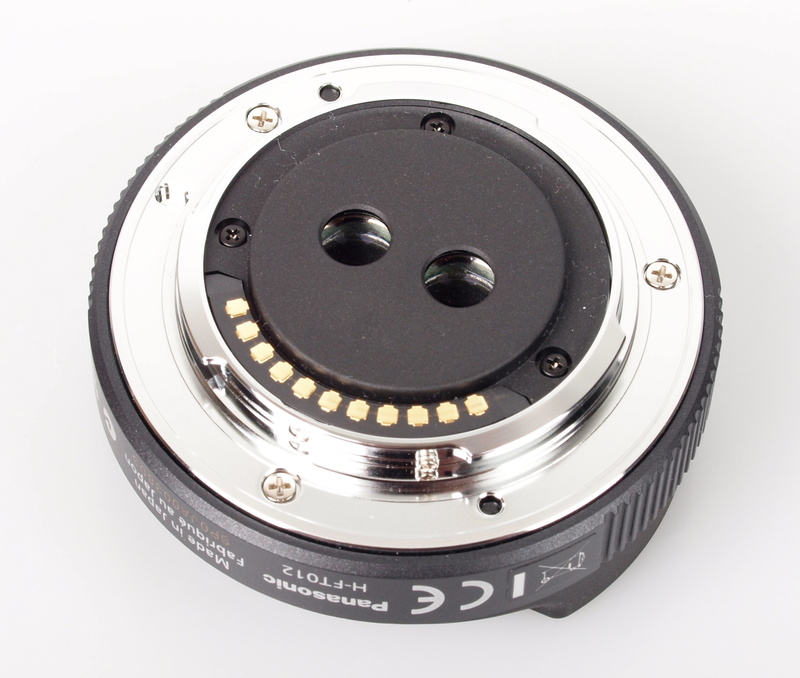 The rear of the lens features a metal mount, despite weighing only 45g. The Lumix G 12.5mm f/12 complies with the Micro Four Thirds System standard, which means it will work on recent Micro Four Thirds Panasonic or Olympus camera with 3D shooting mode, which includes Panasonic Lumix G2, GF2 and newer cameras and the Olympus OM-D E-M5. The lens is extremely compact with just a 20.5 mm length although feels / seems much shorter as it becomes much more compact towards the front which should make it very pocketable. The lens is constructed from high quality plastic, with a metal lens mount with excellent build quality. The lens weighs only 45 grams making it extremely light and compact on Panasonic's smaller Micro Four Thirds cameras, such as the Panasonic Lumix GF3 and GF5. There is nothing to attach a filter to, and the lens features a rectangular front with a matching lens cap. The 3D lens takes two photos, one using the left side of the sensor, one using the right side of the sensor and then the images which are saved to the memory card are saved as a JPG 2D image from the left lens, and a 3D MPO file with both the left and right images. On 12 megapixel cameras the 2D image is 1600x1200, the 3D image double this at 3200x1200 and on higher resolution Micro Four Thirds cameras this will increase. When connected to the camera, the lens disables a number of features and options, for example it's not possible to shoot in RAW mode or record videos. Sample photos: Click "High Res" to view the original 2 megapixel JPEG files, or "RAW" to download the .MPO 3D images for viewing. Viewing the 3D images on a 3DTV, results are quite impressive with good depth to images, although some images work better than others, for example the "Lone tree" image doesn't work as well as expected. Indoors, or taking portrait photos seemed to show little 3D effect. Flare when shooting into the light doesn't seem to be a problem despite the lack of hood. 2D images aren't especially sharp, however do look better with a little sharpening in Photoshop or equivalent application. Chromatic aberration or purple fringing was not noticed and there does not appear to be vignetting. Value For Money - There are no other 3D lenses available for interchangeable lens cameras, making this solution and lens somewhat unique, and as the lens is available for around £219 this makes it quite good value for money, especially if you already have the camera. 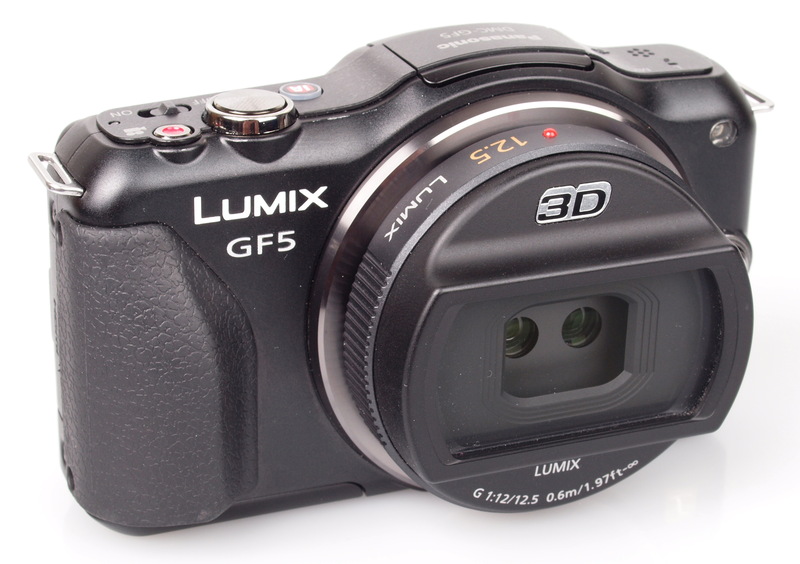 The only other alternatives are compact cameras such as the Panasonic Lumix 3D1, available for around £390 and the Fujifilm FinePix Real 3D W3 available for around £200. 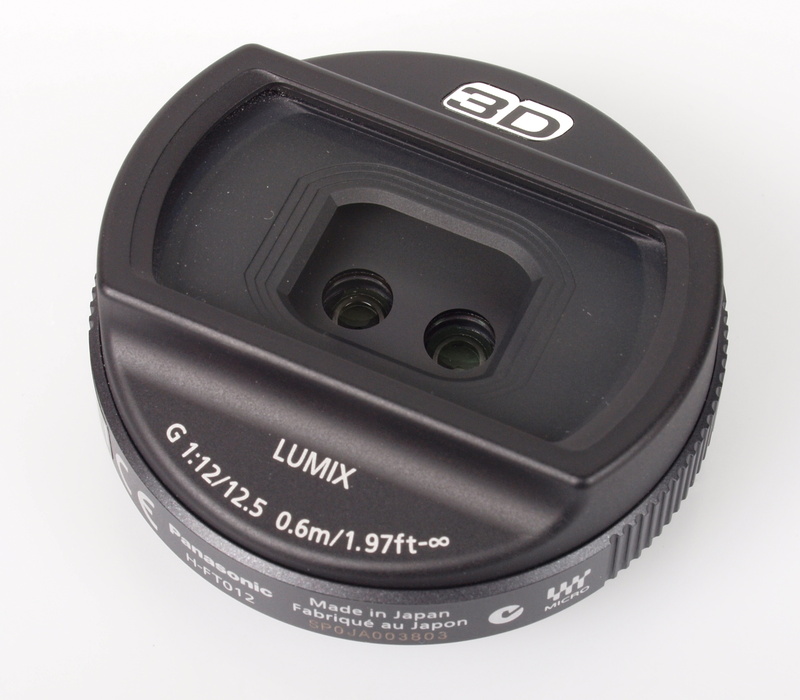 This dual lens fixed focus 3D lens with a fixed f/12 aperture is an ultra compact addition to the Micro Four Thirds system, and offers a good value for money entry into the 3D world if you already have a compatible Panasonic or Olympus Micro Four Thirds camera. The view through the lens gives a cropped view equivalent to around 60mm in 35mm terms, which isn't ideal for some and the low resolution is a little disappointing, however its higher resolution than Full HD TV so should be more than adequete for viewing at home and 3D results can be impressive. [quote]which means it will work on any Micro Four Thirds Panasonic or Olympus camera with 3D shooting mode, which includes all Panasonic Lumix G cameras and the Olympus OM-D E-M5. [/quote] This is not correct. It will work on all recent Panasonic cameras, but not on the G1, GH1 and GF1. Quote:which means it will work on any Micro Four Thirds Panasonic or Olympus camera with 3D shooting mode, which includes all Panasonic Lumix G cameras and the Olympus OM-D E-M5. This is not correct. It will work on all recent Panasonic cameras, but not on the G1, GH1 and GF1. Thanks, the article has been updated.